Everyone says that Spring Training stats mean nothing. We can all agree that when a player hangs up his spikes, nobody is going to say, “He had such a great career; he hit .345 in Spring Training games.” However, there is still value in these stats, especially in mid-March when rosters are being built and minor league assignments are being made. It can be especially huge for players in the high minors looking to force their way onto an MLB roster. Let’s take a look at three of the top prospects from the Pirates and the hot starts they’re off to. Austin Meadows came into the spring with a very different outlook. Coming off a couple injury plagued seasons, the shine was starting to wear off. Many Pirates fans had hoped Meadows would be ready to take the torch from Andrew McCutchen in center field, but it was starting to look like Meadows may never be healthy enough for that reality. With just 410 at bats across 2 seasons in Triple-A, while slashing .239/.306/.390, Meadows needed to come on strong, and he did just that. While 19 Spring Training at bats doesn’t say much of anything about long-term health, Meadows has said this spring that he’s fully healthy for the first time in a while and its shown. A .368/.429/.737 triple slash with 4 of his 7 hits going for extra bases, a stolen base in his only attempt and 2 walks with only 2 strikeouts, Meadows has Pirates fans salivating at the possibilities. I initially thought with a big spring Meadows could find himself in Pittsburgh to open the year, until Corey Dickerson stepped into left field. However, I don’t think it’ll be long until Meadows finds his way to Pittsburgh if he can prove he can remain healthy. It didn’t take long for Pirates fans to compare 2015’s 2nd round draft pick Kevin Kramer to then current Pittsburgh 2B Neil Walker. Kramer was considered a strong top of the lineup hitter, with good ability to draw a walk and the potential to reach 20 homers as he progressed towards the majors. Through his first 600 or so at bats though, that power had not shown up. Kramer was getting on base at a high rate, as advertised, but the Pirates asked him to put in some work after the 2016 season to find the power they had hoped to see. Kramer did not disappoint in his first shot at Double-A hitting 6 home runs in 202 at bats, while maintaining his slash line of .297/.380/.500. Then he suffered a broken hand, ending his season in June. It was enough to earn a non-roster invitation to major league camp this season. Kramer has taken advantage of that shot, slashing .313/.500/.875 in his 16 at bats. All 5 of Kramer’s hits have gone for extra bases with 2 doubles, 2 triples, and a home run, he’s scored 6 runs, knocked in 4 and walked 5 times. On Monday, March 12th, Kramer survived the first round of cuts, but barring something unforeseen, he isn’t going to stick with the big club for much longer. With only 202 at bats in Double-A, the Pirates could choose to send Kramer there to start the year before a likely promotion to Triple-A at some point, with a cup of coffee in the bigs by the end of the season. 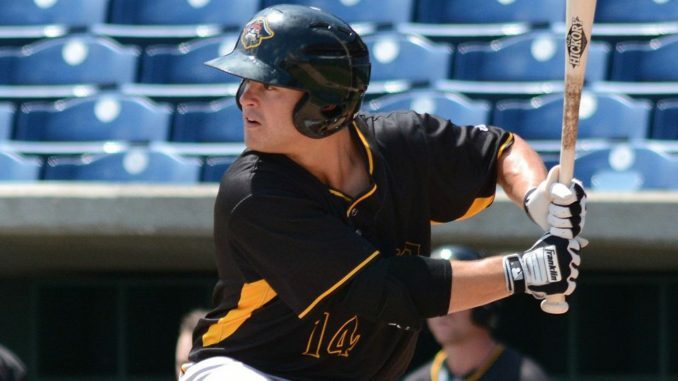 The future is bright in Pittsburgh, with many of the young prospects reaching the Pirates at the same time. We may be seeing a young core that can combine with some of the young talent already in Pittsburgh. This could get the team back into contention in 2019 and beyond.